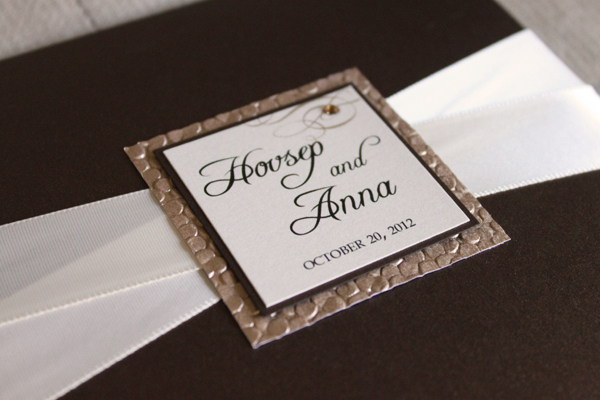 I had the pleasure of making the wedding invitations for my good friends Anna and Hovsep. 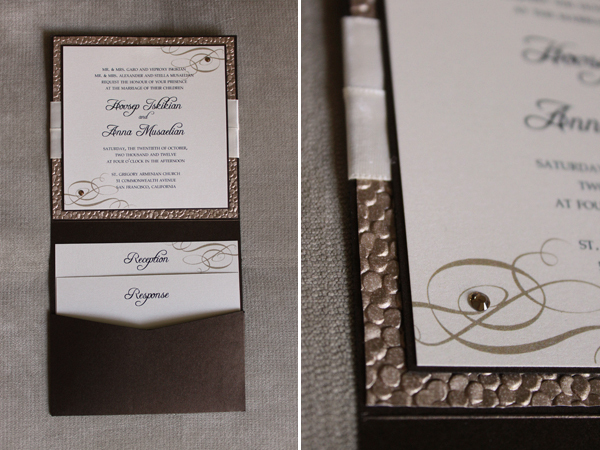 Anna wanted an invitation that was more on the traditional side and that looked very elegant. 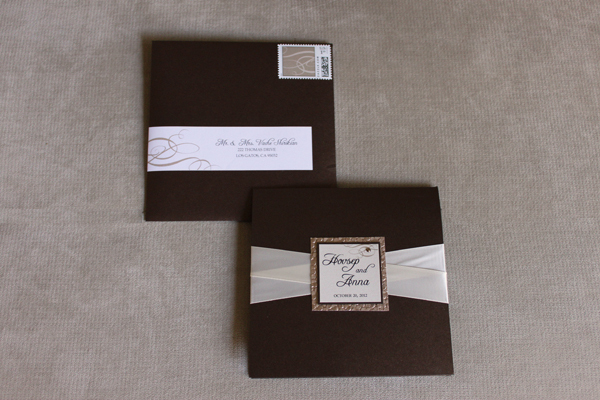 She loved the square shaped pocket fold so we started with that as the foundation. 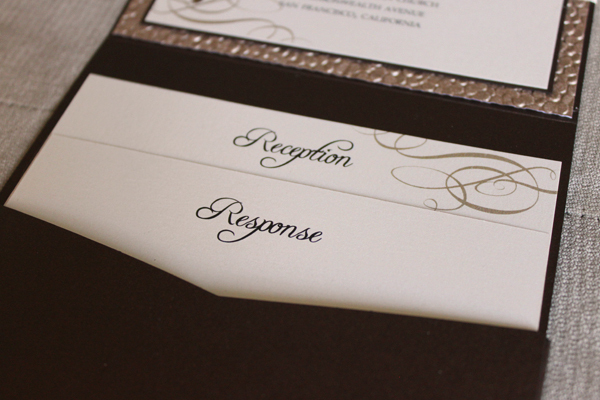 I found this gorgeous champagne pebble embossed paper that brought a unique texture to the invitation. I also added ivory satin ribbon and champagne Swarovski crystals as embellishments which added an elegance to the design. 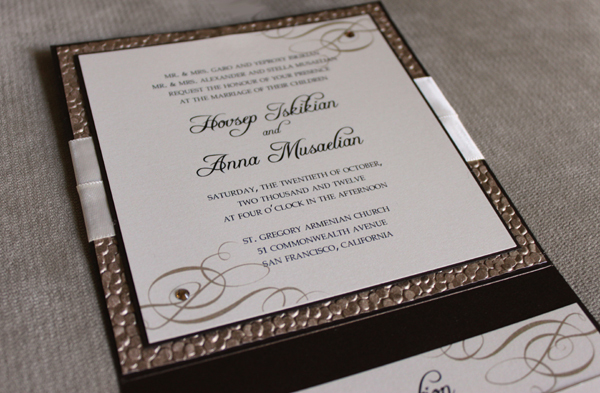 Congratulations Anna and Hovsep, I wish you both lots of joy and happiness for a lifetime to come! Hi!!!! out of curiosity, how much would it be per invite??? HI Janet, sorry for the late response! 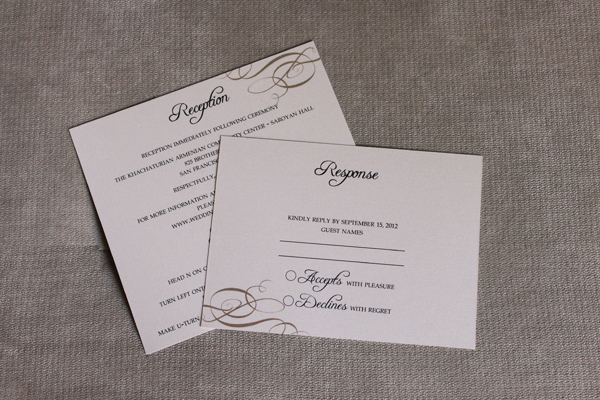 This invitation spread would cost $11 each. If you are interested in an order you can contact me at Taleen@simplelittledetails.com. Thanks!